An unusually strong spring storm will add more snow to the Sierra Nevada Mountains, where winter storms left behind the most robust snowpack in the last six years. A brief bout of rainfall, possibly accompanied by strong winds, is expected in the Los Angeles area early Saturday with more significant precipitation to the north. The storm could be the most powerful the Sierra Nevada Mountains have seen in April in a decade. That's good news for the state's water supply, but the storm also brings the threat of flooding along the Feather River, including the mountain town of Portola near the Nevada state line. The storm could bring 1 to 4 feet (0.3 to 1.2 meters) of snow to the higher elevations of the Sierra Nevada Mountains, an unusual amount for April. Electronic monitors last week showed the mountain snowpack was at 164 percent of normal. It was the most dense springtime snowpack since 2011, a year followed by five years of drought. 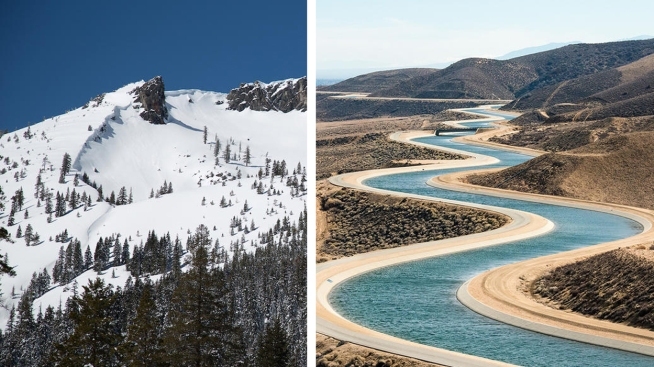 When the snowpack melts in spring, the water runoff flows down the mountains into a system of canals, aqueducts and reservoirs, providing water for an estimated 23 million Californians. Record-breaking rain in recent months has put a major dent in the state's five-year drought but also led rivers and creeks to break their banks and wreaked havoc on the state's infrastructure. This week's U.S. Drought Monitor report, released every Thursday, show 8 percent of California in drought. 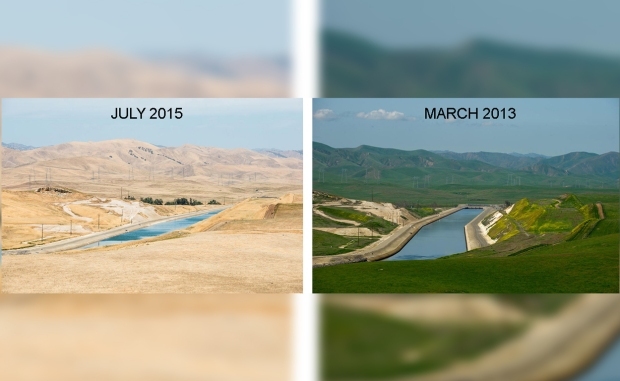 At this time last year more than 90 percent of the state was in drought. But in February, those drought busting storms led to an emergency evacuation of thousands of people downstream from Oroville Dam, where the main spillway broke apart and an emergency spillway eroded. In San Jose, thousands of residents were evacuated a flooded streets filled with mud and debris. San Francisco and Oakland can expect 1 to 1.5 inches (2.5 to 3.8 centimeters) of rain, which Monterey National Weather Service forecaster Steve Anderson says is normal for this time of year. In Southern California, the heaviest rain as a result of the late-season storm out of the Pacific Northwest will push through San Luis Obispo and Santa Barbara counties before light rain slides into Ventura and Los Angeles counties around midnight Friday. About 10 hours of rainfall are possible in Southern California. Rain totals will range from a half-inch to an inch-and-a-half in most locations, with only a half-inch or less in Los Angeles County. It's not a strong storm, but roads might be slick late Friday and Saturday morning. "We get the tail end of that system, so it's not looking very heavy at all," said NBC4 forecaster Shanna Mendiola. Snow will remain above 8,000 feet, and there is currently no chance of mud or debris flows. To the north, the spring storm has the potential to flood a river in the Sierra Nevada and soak the San Francisco Bay Area. The storm will reach that area late Thursday and the heaviest rain is expected on Friday. The region could see more rain on Saturday.